In an industry first, Viacom18 has partnered with Bill & Melinda Gates Foundation and development communications specialists BBC Media Action to create a fiction series, ‘Navrangi Re!’, with an underlying behaviour change message on sanitation. 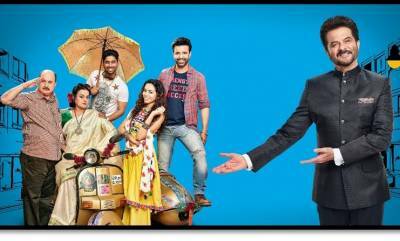 Produced by Swastik Productions, ‘Navrangi Re!’ is a finite series with 26 episodes. Premiering on February 2, 2019, ‘Navrangi Re!’ is Rishtey’s first original series and will air on Saturdays and Sundays at 9.30 pm. The show will also air on Colors Gujarati and Colors Odia at 6.30 pm on Saturdays and Sundays, starting February 9. The series will also be available on Voot. ‘Navrangi Re!’ is the story of a lively mohalla (a neighbourhood) in a town in Northern India full of quirky and endearing characters – from a talking wall to a rich and ruthless diva to a spoilt brat to a strong female lead that refuses to give in, and an underlying monster that’s growing underground. It is a satirical and funny story of a community living on the edge, teetering from one crisis to another and then deciding to take control of their lives. Lead protagonist is Vishwaas (Aamir Ali), a struggling TV journalist who is always looking for career-defining ‘breaking news’. In this hunt for one story, he discovers something bigger – the gateway to bring about change in his mohalla. The ensemble cast is made up of veteran actors such as Susmita Mukherjee and Raju Kher, and new talent like Vaishnavi Dhanraj, Manmohan Tiwari and others. When it comes to poo, out of sight must NOT be out of mind!